NEW YORK (AP) — On the walls of Jimmy Fallon’s office are photos. Lots of photos. Of his 2007 marriage to film producer Nancy Juvonen. Of their 6-month-old daughter, Winnie. Of his mom and dad as newlyweds. Fallon points them all out to a visitor proudly. But the dominant photo is a portrait of Johnny Carson, aglow in front of his “Tonight Show” drapes. Already Fallon is immersed in this kind of fun. For five years he hosted NBC’s “Late Night,” a job he relinquished only days ago. And now he’s looking ahead to the Big Show, “The Tonight Show,” where Monday, at the special time of 12 midnight EST, he retrieves Carson’s mantle — back in New York after 42 years in Los Angeles. 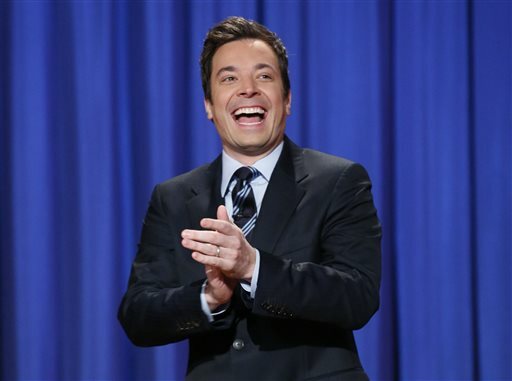 This April 4, 2013 file photo released by NBC shows Jimmy Fallon, host of “Late Night with Jimmy Fallon,” in New York. 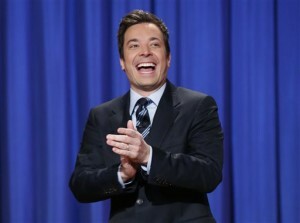 Fallon will debut as host of his new show, “The Tonight Show with Jimmy Fallon,” on Feb. 17. A Manhattan home base perfectly suits its new host, a consummate New Yorker, while bringing it under the same hallowed roof (NBC’s Rockefeller Center headquarters) as “Late Night” and “Saturday Night Live,” other jewels in the crown of Lorne Michaels, its new executive producer. It also allows “Tonight” to make a clean break from its turbulent post-Carson era under Jay Leno (and, fleetingly, Conan O’Brien), when the Carson-bequeathed formula of jokes, celebs and chitchat was, too often, upstaged by behind-the-scenes soap opera. Leno was consistently the ratings winner, but never won much respect from the public, critics, or even his own network, which fired him twice and now has lavished his successor with an honor it denied him for his 20-plus years: “The Tonight Show With Jay Leno” is now restored to “The Tonight Show Starring Jimmy Fallon” — the star billing Carson got. Back in New York, where both “The Tonight Show” and Carson as its host made their start, this 60-year-old TV institution is poised to pick up the legend from where it languished after Carson’s 1992 retirement. 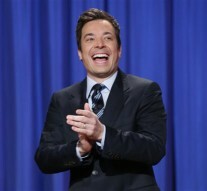 Fallon first became popular during his six years on “Saturday Night Live,” where he displayed a chameleonic range of characters and impersonations, plus a musicality that grants him uncanny skill at mimicking numerous recording stars. His 2004 departure from “SNL” to pursue a film career didn’t pan out, particularly with the comedy flop “Taxi,” in which he co-starred with Queen Latifah (who now has her own talk show, in daytime). His key strength as host boils down to his unflagging engagement, says “Tonight Show” producer Josh Lieb. “He’s got genuine empathy for his guests and for the audience,” he said. “He’s trying to give them the best of himself.